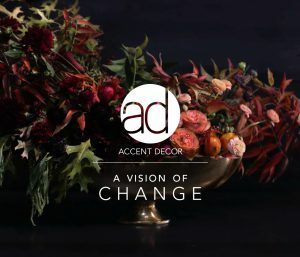 Floral Design Through the Ages..
AIFD Inspiration 2016 Behind t..
Emerson one wrote, “Earth laughs in flowers,” and while we can’t deny how absolutely lovely that sounds, Emerson’s poem reflects a slight mockery of humanity and touches on the fact that we tend to forget the force behind nature, its dominion over the planet, and its beauty often a siren song to our naïveté. 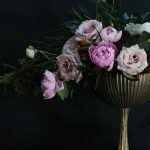 With a blend of florals reminiscent of still life paintings and modern, black on black details, we wanted this story to be our ode to the delicate tune of servitude and power that humans and nature have been dancing to since the beginning of time. 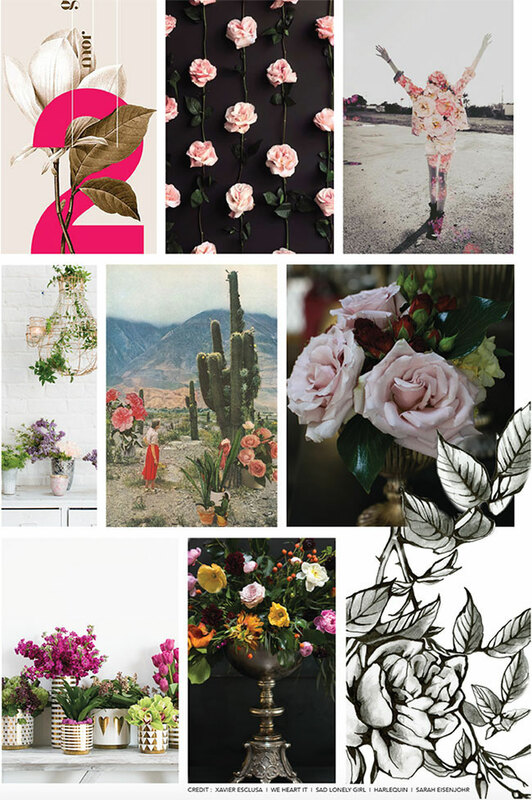 During brainstorming week, the creative team put together the following mood board to set the tone for this look that would represent a quarter of our showroom. The goal? 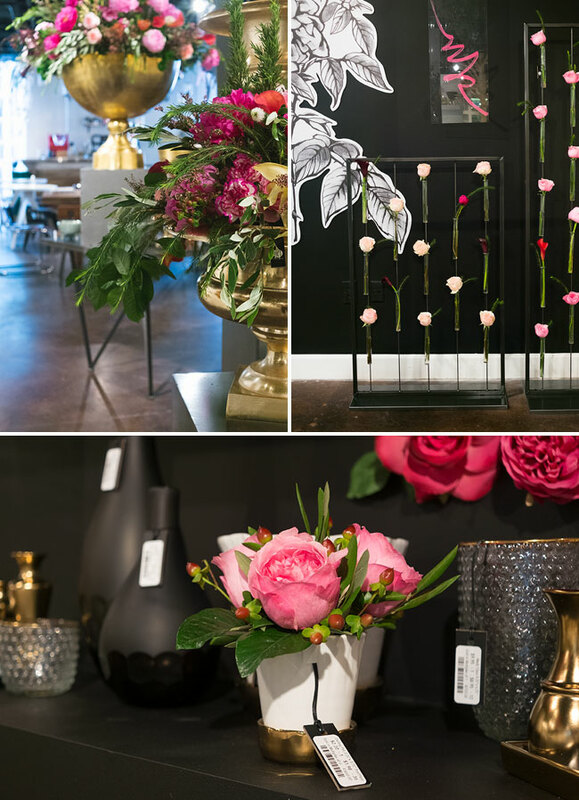 Bring in larger than life botanicals, Baroque-inspired flower arrangements, and modern, hot pink and black on black details. 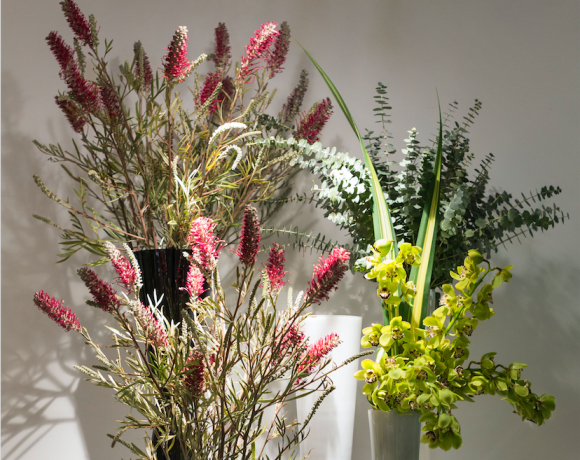 With a dash of bumble bees and the right lighting, our Baroque Bumble story was born. 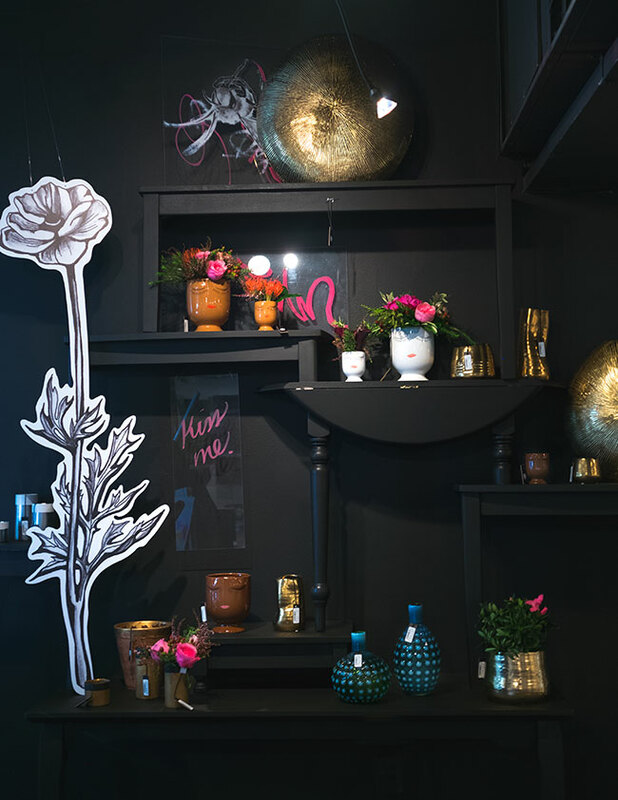 In the show room, this translated to pairing our elegant, event-focused vessels with black walls and shelving with dutch-inspired photographs of flowers and hot pink accents on plexiglass. 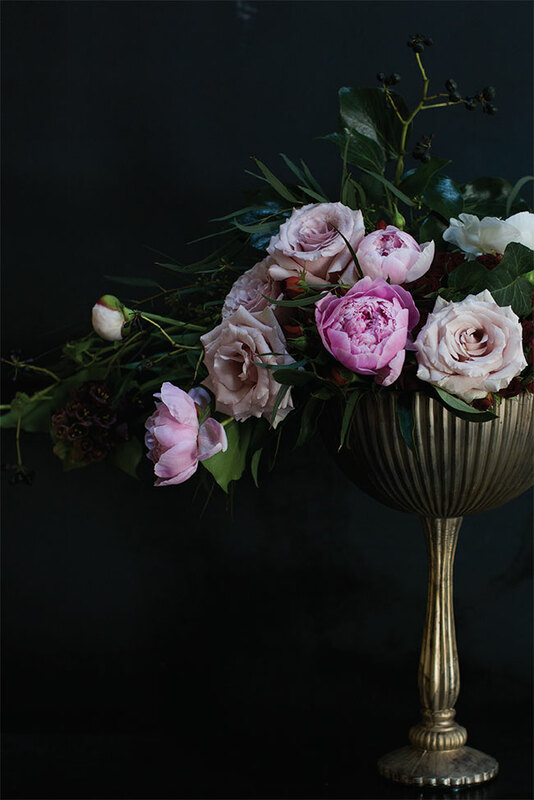 These details helped bring a modern touch to some of more traditional and romantic pieces. 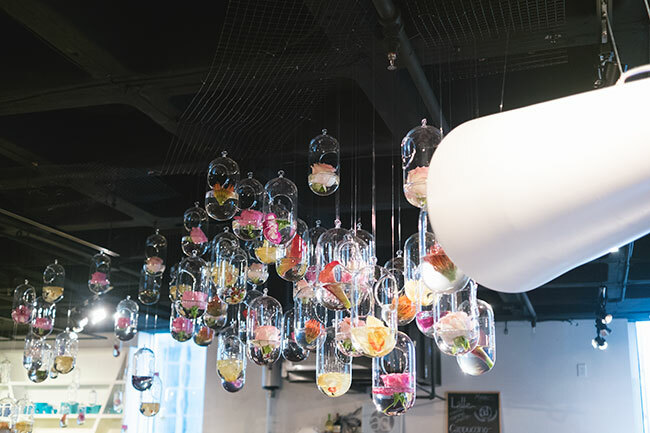 In our Atlanta Showroom (Bldg 1, 18B1), customers browsed catalogs and drank coffee provided by Refuge Coffee Co among hanging Ovoid vases bursting forth from a giant megaphone – our interpretation of the Earth laughing in the language of flowers. 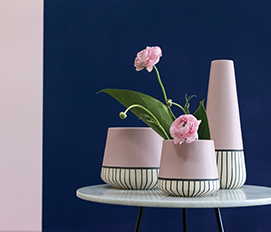 For our Celfie Vase display, we cut tables in half, painted them black and secured them against a black wall for an elegant feature to show off our newest additions to the Celfie family: Chocolate and Caramel. 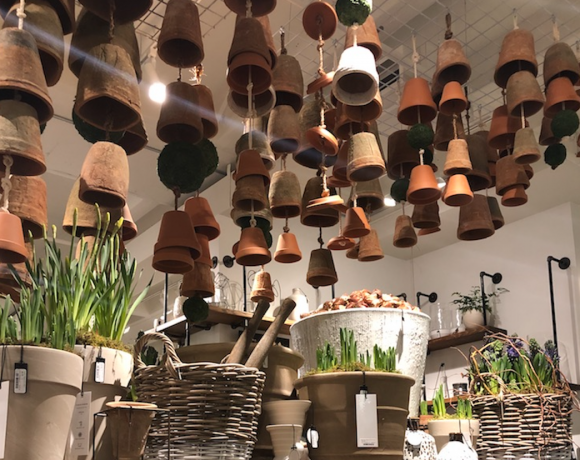 Interested in more showroom inspiration? Check out the looks for our Modern Artifacts and Eric and Eloise (Holiday) Stories.